That’s what Delair CEO Michael de Lagarde told me when we met for coffee during a quick trip he had made from his home in France to San Francisco. Delair is one of the rising stars in the drone industry as of late. The French drone company has seen rapid growth over the past year with fund raising from Intel in October, the acquisition of Airware in November, and launch of its new delair.ai software platform last month. And De Lagarde said the company has plans to hire dozens of employees this year. But while De Lagarde is optimistic that the drone industry has plenty of room to grow, something he said caught me as more cautiously optimistic, than simply optimistic. And with that, De Lagarde explained that the his company is not putting all of its eggs in the drone basket. Other companies before Delair have been looking to merge the two data sources — drones and satellites — but typically the merger goes the other way. 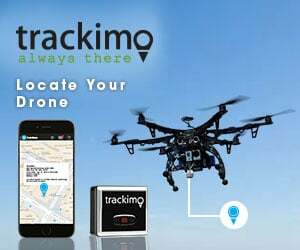 Canadian company SimActive was a provider of mapping and photogrammetry software for manned aircraft and satellite data, but is now expanding their mature processing platform to include the drone market. And one of the market leaders in fusing the two aerial data sets is Airbus Aerial, which has taken Airbus’ constellation of high-resolution satellites along and merged it with fleets of unmanned aircraft to collect, analyze and distribute a variety of aerial datasets.